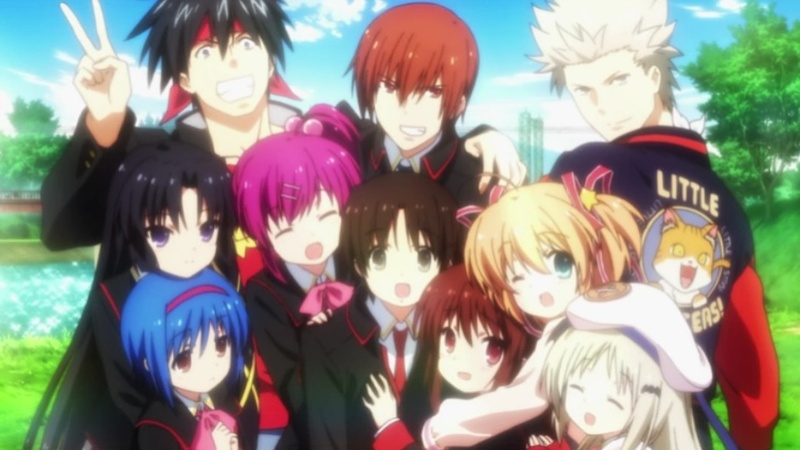 I Blog Anime: [Ended] Litter Busters! : Where are the answers?! While I've always been a fan of Key's work, lately, I think they're running out of fresh ideas. While the story is good and interesting, there are just way way way too many subplots that are literally yanked from some of their other works. The biggest thing of Key, I think if you have seen more than one of their work, is the use of forgetful people. Almost every subplot has something to do with people forgetting something important from their past. Abusing such concept would make the story boring as every time something comes up, the first thing you would think of is somebody has forgotten something important, which later it turns out to be exactly that. Predictable story is never too interesting. I guess my biggest problem, is the fact they built things up with some mysterious thing that seems like we may get an solution in the end of the season. But instead, it's the announcement of the second season. I really really really really hate the way they handled this. Without the second season, I really don't have much good to say about this. So I'm going to leave it and come back do a review as a whole once the next season is complete.